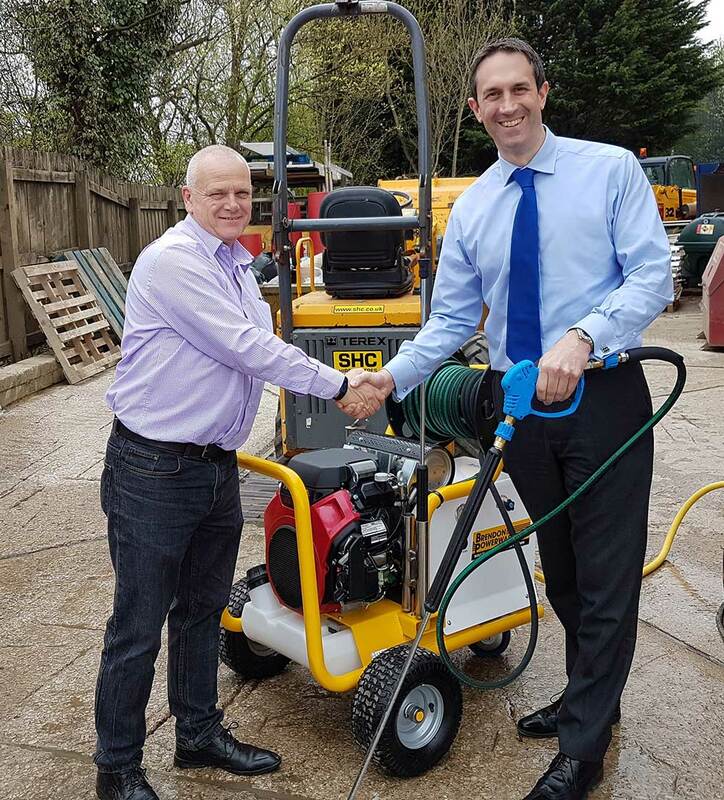 Neil Bravery of Skipton Hire takes delivery of one of the New Brendon 50KPE-VT Mobile Powerwashers. Stuart Haskins demonstrated and handed over the machine at their Skipton Head Office. One of many machines ordered for their rental fleet at the Hireshow earlier in the year. Skipton Hire have been operating Brendon Pressure Washers in their fleet for over 10 years, and have depots in Skipton, Ilkley, Ripon, and Northallerton.